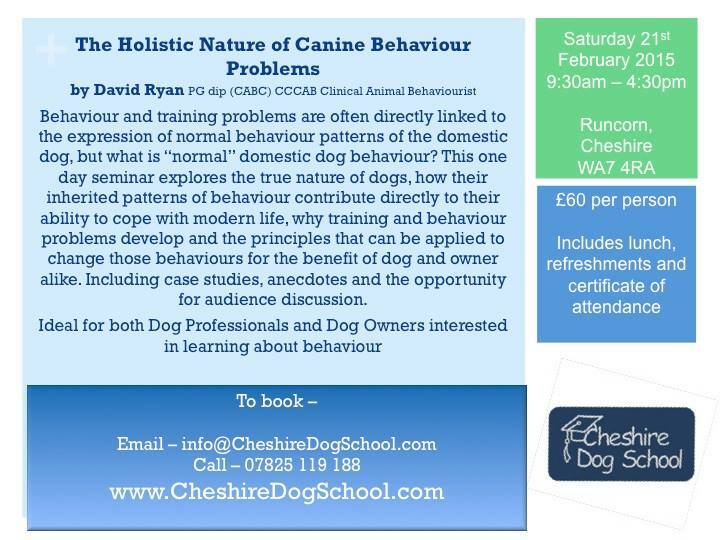 Cheshire Dog School is pleased to host David Ryan’s highly informative seminar ‘The Holistic Nature of Canine Behaviour Problems’. Behaviour and training problems are often directly linked to the expression of normal behaviour patterns of the domestic dog, but what is “normal” domestic dog behaviour? 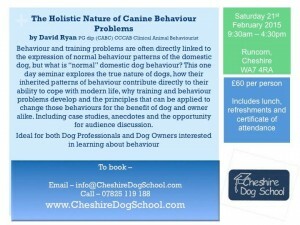 This one day seminar explores the true nature of dogs, how their inherited patterns of behaviour contribute directly to their ability to cope with modern life, why training and behaviour problems develop and the principles that can be applied to change those behaviours for the benefit of dog and owner alike. 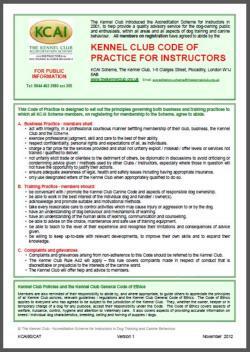 Including case studies, anecdotes and the opportunity for audience discussion. 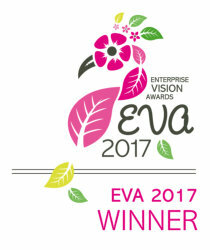 He has been invited at various times to lecture to the Companion Animal Behaviour Therapy Study Group, BSc Animal Behaviour Students at Bishop Burton College and Myerscough College, and Pet Rescue/rehoming Centres, including Battersea Dogs and Cats Home, Merseyside Dogs Trust and Wood Green Animal Shelter. He is currently a guest lecturer on Newcastle University’s MSc in Applied Animal Behaviour and Welfare. David’s unique blend of practical experience and theoretical knowledge of canine behaviour fuel his particular interest in inherited predatory motor patterns and the lengths to which pets will go to find a way to express them, usually despite their owners’ best efforts. Limited spaces. Must be pre-booked.